Racial Violence in Kentucky, 1865--1940: Lynchings, Mob Rule, and "Legal Lynchings" Racial Violence in Kentucky, 1865--1940: Lynchings, Mob Rule, and "Legal Lynchings"
In this investigative look into Kentucky's race relations from the end of the Civil War to 1940, George C. Wright brings to light a consistent pattern of legally sanctioned and extralegal violence employed to ensure that blacks knew their "place" after the war. In the first study of its kind to target the racial patterns of a specific state, Wright demonstrates that despite Kentucky's proximity to the North, its black population was subjected to racial oppression every bit as severe and prolonged as that found farther south. His examination of the causes and extent of racial violence, and of the steps taken by blacks and concerned whites to end the brutality, has implications for race relations throughout the United States. 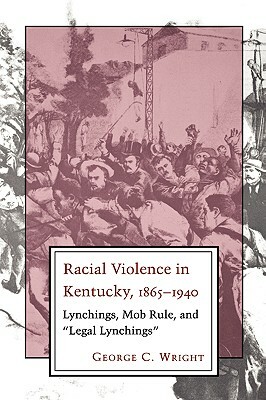 Title: Racial Violence in Kentucky, 1865--1940: Lynchings, Mob Rule, and "Legal Lynchings"
Author Name: Wright, George C.